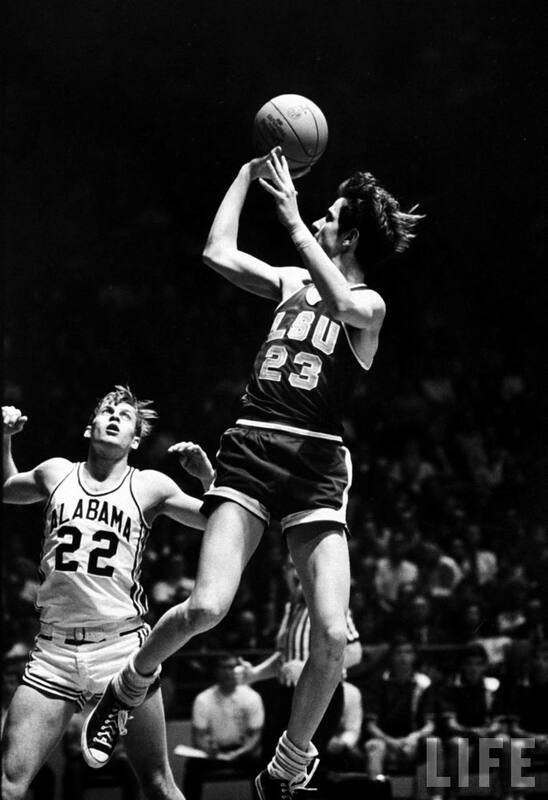 Few players have captured the imagination of basketball fans like Pete Maravich. Wearing floppy socks, "Pistol Pete" dazzled crowds with between-the-leg dribbles, behind-the-back passes, dishing the ball off the dribble at full speed. He still holds the NCAA scoring record - 3,667 points. John Havlicek called Maravich the best ball handler of all time. Maravich died in 1988, just months after being inducted into the Basketball Hall of Fame. Click here to see the best books about the legendary Pistol Pete.